This skirted bathtub is part of Valley Acrylic's Signature Series and is a classic style that could fit into any bathrooms dicor. High gloss acrylic structure ensures the quality and durability. All of Valleys Signature Series products are manufactured in Mission, British Columbia, hence guaranteeing that these products are 100% made in Canada, and meets the excellent quality standards that are required by Canadian companies. Bathe in beauty with this classically designed bath. Revealing traditional, elegant lines, the Devonshire bath offers old-world appeal in a sleek silhouette. Lumbar supports and armrests invite you to lean back and relax, and the textured floor provides sure footing. Its compact size makes the KOHLER Greek 4 ft. Reversible Drain Acrylic Soaking Tub a great choice for your drop-in or three-wall alcove installation area. It's made of acrylic, so you know it will be durable, and its white colour is a great match with any decor style. The KOHLER Windward 6 ft. Reversible Drain Acrylic Soaking Tub in White offers a drop-in installation design to suit your needs. The tub features durable acrylic construction, and the white colour can help add a crisp, clean look to your space. 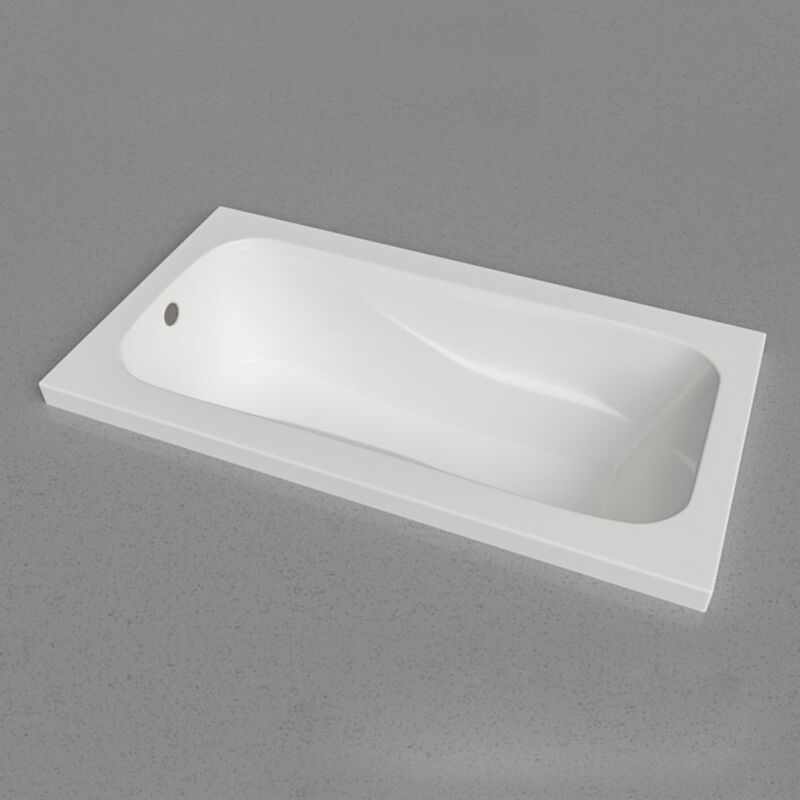 This soaking tub has a reversible drain location (drain not included) to match your existing plumbing and includes moulded armrests and lumbar support for comfort. MAAX New Town 6030 (IFS) acrylic tub is perfect for any renovation and remodelling projects at an affordable price. The New Town soaker tub features an integral apron and tiling flange for alcove installation. Minimalist inspired design with clean lines and modern look. Its spacious interior features discreet integrated armrests for additional comfort. Ample deck space for faucet installation. Sol 60x32 Drop-In Tub This skirted bathtub is part of Valley Acrylic's Signature Series and is a classic style that could fit into any bathrooms dicor. High gloss acrylic structure ensures the quality and durability. All of Valleys Signature Series products are manufactured in Mission, British Columbia, hence guaranteeing that these products are 100% made in Canada, and meets the excellent quality standards that are required by Canadian companies. Sol 60x32 Drop-In Tub is rated 5.0 out of 5 by 1. Rated 5 out of 5 by Nilz from Looks great Delivered straight to my door and installed it with tiles and a roman faucet set. Looks great. My wife loves it. Too bad for her we're moving.